President and Group CEO of Sony Computer Entertainment Andrew House on Wednesday introduced the company's next-generation platform, the PlayStation 4, which will leverage advancements in hardware, software, and Internet-based technologies to, Sony hopes, create a game experience that will pull it out of its current third-place position in the console race. During the keynote, Sony noted that the upcoming platform will be more about taking the PlayStation out of the living room, and focus it more on the gamer. Also pushed was the "immediacy" built into the PS4, including background downloading, instant play of new purchases and social network sharing. "The stakes are high for what we're about to show you," said house. The PlayStation 4 will feature a chip based on the x86 architecture, on-board HDD storage, and 8GB of GDDR5 RAM. 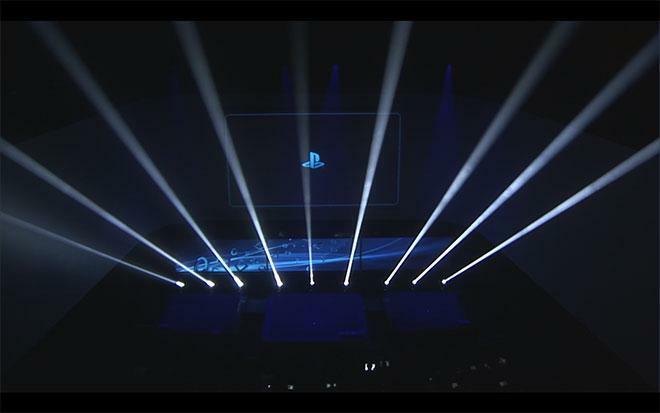 During the presentation, Sony representatives stressed that these were the sort of design choices game developers urged the company to make with its next console. The Cell Processor in the PS3, according to many developers, was powerful but difficult to develop for, which led to the Xbox 360 becoming something of a developer standard. Consequently, many games developed for both systems were unable to take full advantage of the PS3's capabilities, and many games ported from the Xbox 360 to the PS3 underperformed versus their Xbox counterparts. 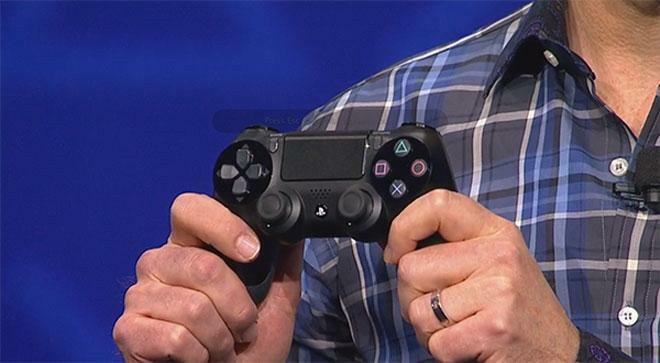 The company also introduced a much-anticipated new controller. The new DualShock controller maintains mostly the same controller design as previous iterations, but adds a touchpad, headphone jack, a Share button, and a "light bar." The touchpad is a feature first introduced in Sony products with the PlayStation Vita, while the "light bar" will interface with a new, Kinect-like peripheral in order to gauge players' positions in three-dimensional space. The share button and headphone jack are part of Sony's effort to stress the social elements of the PS4, as they will allow for in-game communication, as well as direct sharing of game content. Social networking functionality is also a main concern for the upcoming console, with advanced services offering users the ability to watch live streams of friends gaming sessions. Speaking to the platform's internet abilities, founder of cloud-based gaming service Gaikai Dave Perry outlined various streaming and interactive capabilities. Gaikai was purchased by Sony in 2012. Users can watch and interact with each other in real time, including the ability to take over a friend's controller to help them through a tough level. PlayStation's cloud services will also bring a welcome enhancement many users have been asking for since the PS2: universal compatibility with older games. In fact, future advancements to the system are expected to allow for older titles, as well as new games, to be played on second-screen devices like the PS Vita, smartphones and tablets. 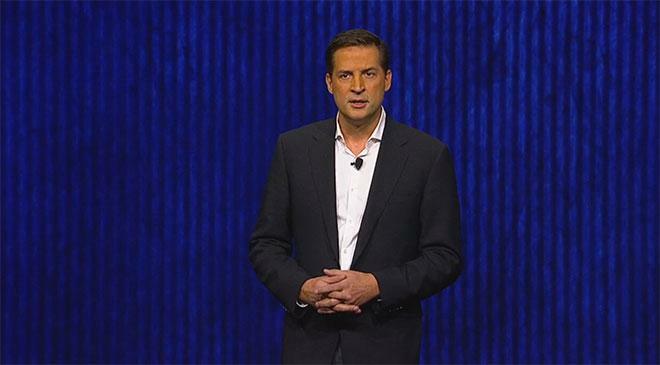 The PS4 comes at a critical moment for Sony. Once an undeniable powerhouse in the consumer electronics world, the Japanese conglomerate has seen a difficult few years, as competitors from various corners have undercut its foundation. While the PlayStation 2 sold in excess of 100 million units, its successor, the PlayStation 3, was hampered initially by a high price as well as the breakout success of Nintendo's Wii console. Adding to the company's gaming woes, its PlayStation Portable and PlayStation Vita handheld consoles have never truly taken off to the extent that Sony would like. Those consoles, too, have been stymied by high initial pricing and competing systems from Nintendo. Also, though, they have suffered from the rise of smartphones and tablets. The new mobile devices have comparable computing power to dedicated portable consoles, as well as more democratized game distribution systems, making it easy for smaller developers to push out relatively low-quality content in a rapid fashion. By comparison, big-budget console games have a greater range of flexibility and depth, but require considerable computing resources and massive teams to develop. After roughly two hours of tech demonstrations and game previews, Sony's presentation ended abruptly. The company did not show off the hardware that will power all of the software demonstrated, though it seems likely it will do so at this year's E3. As to a release date, Sony gave only a broad Holiday 2013 announcement.